Never mind the visual impact of the proposed Sudbury to Hudson power line with its clear cut right of way. Never mind the access roads for maintenance. Never mind encroachment on our wetlands, conservation lands, and back yards. One of the more frightening things in this whole scenario is the repeated use of herbicides that will be part and parcel of Eversource’s ongoing vegetation management plan. Here is a delicious list of herbicides approved for sensitive area use by the Mass Department of Energy and Environmental Affairs: Glyphosate, Imazapyr, Metsulfuron methyl, Sulfometuron Methyl, Fosamine Ammonium. Triclopyr, and Paclobutrazol. Let’s take a look at glyphosate since it’s the active ingredient in Roundup, the most commonly used herbicide in the world. As a non-selective herbicide, it kills any plant it comes into contact with. This of course, is why utilities use it to kill “incompatible trees and brush”, ie plants and trees that have the temerity to grow where they aren’t wanted. General guidelines for application of glyphosate make it clear how important it is to apply properly because of its toxicity. Massachusetts state regulations on pesticides (33 CMR 11.00) warn about drift to any area within “10 feet of standing or flowing water in a wetland; or area within 400 feet of a public drinking water supply well; or area within 100 feet of any Class A surface water used as a public water supply; or area within 50 feet of a Private Well.” Given the location of the MBTA ROW, clearly there is plenty of potential for ground or aerial drift with associated contamination of wells, drainage ditches, and sensitive wetlands and their amphibian populations. 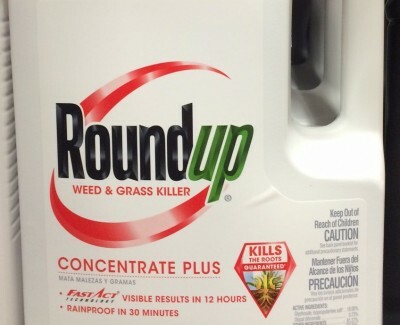 And California’s EPA has issued plans to list glyphosate as known to cause cancer, triggering California’s prop 65, which will require businesses to provide a ‘clear and reasonable’ health warning on Roundup and other glyphosate products. In the meantime, use of glyphosates in the US continues, as does the rise of super weeds in the wake of its use. Widespread use on GMO crops, which are bred to resist its killing powers, have led the weeds to evolve to resist the very chemicals designed to kill them. 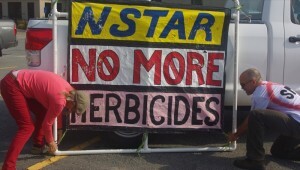 Which simply leads to the need to use more herbicide to kill the new super weeds. Leave shoes outside after walking in sprayed areas to keep chemicals from getting in your home. Herbicides remain in house dust for years. Bring in toys, outside furniture, pet dishes etc. Each and every line of that is alarming. 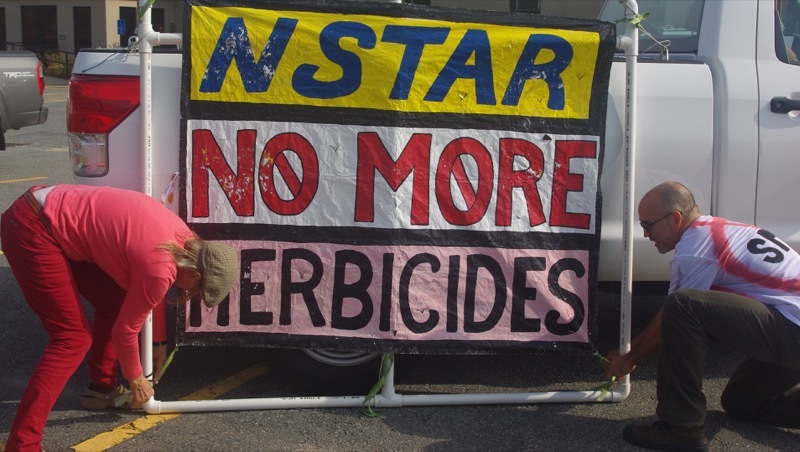 Yes, Eversource and the State of Massachusetts have vegetative management plans that approve the use of glyphosate. But just because it’s legal doesn’t mean we should do it. Agreed Diane – thanks for commenting. We’ll keep on top of it. There’s more to come.